SUVs and crossover utility vehicles are all the new rave in our current economic situation with gas prices steadily remaining relatively low and Americans are taking full advantage of the situation by flocking towards ownership of such vehicles. 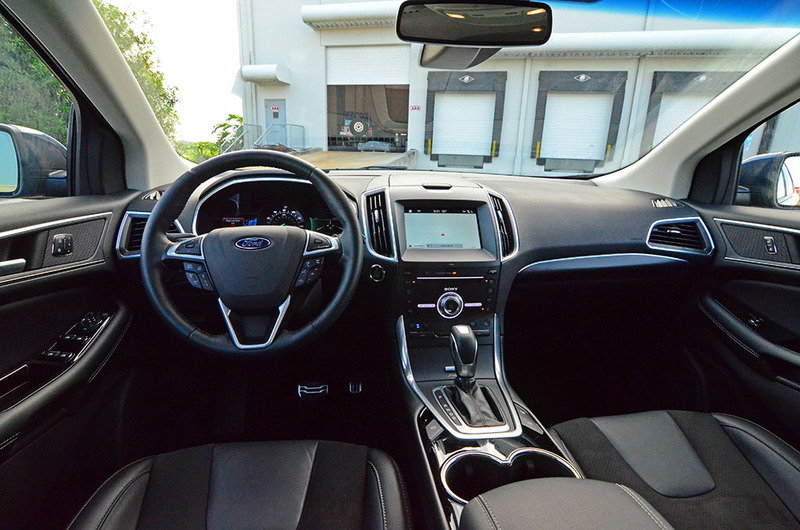 Ford has been one of the pioneers of the utility vehicle and with the introduction of the Ford Edge back in 2005 as a 2006 model year the pace-setting brand has welcomed a plethora of consumers seeking a midsized-proportioned SUV. For the 2017 model year, the Ford Edge remains mostly unchanged from its 2015 model year redesign gaining updated tech from its 2016 model year refresh. 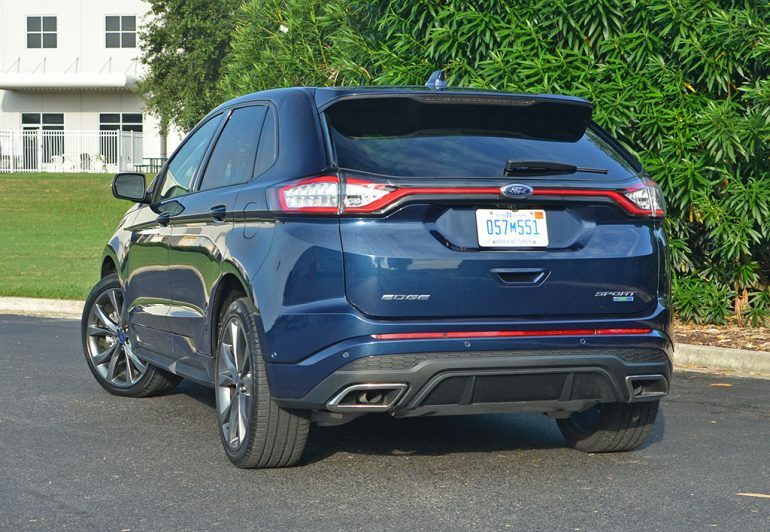 In its sportier trim level, the Ford Edge Sport attempts to set itself apart from the rest of the lineup touting an exclusive-for-the-trim 2.7-liter Twin-Turbo (EcoBoost) V6 engine with 315 horsepower and 350 ft-lbs of torque, darkened trim features, revised sport suspension, and the availability of large 21-inch wheels. 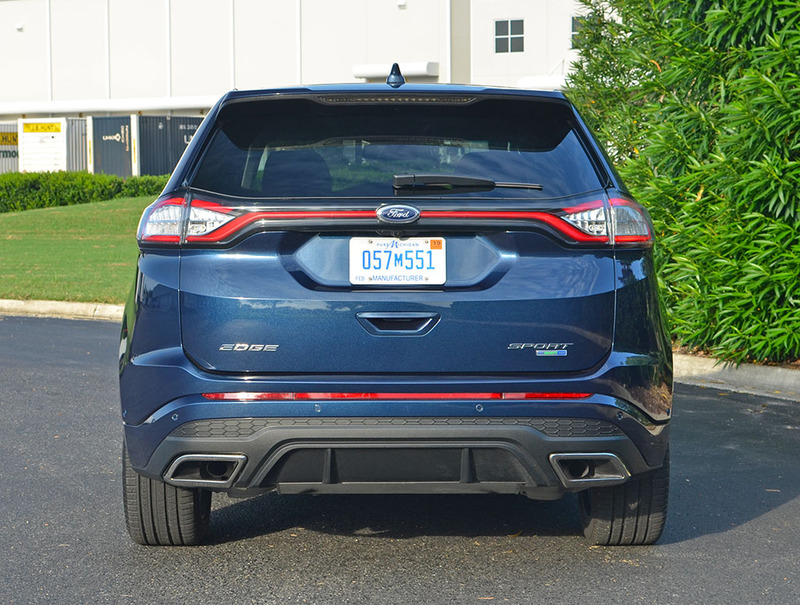 Not to mention, the new Ford Edge Sport backs up its higher trim level’s name with a unique driving quality with a remarkably-quick steering rack, a firm ride, and a welcomed surge of midrange power. 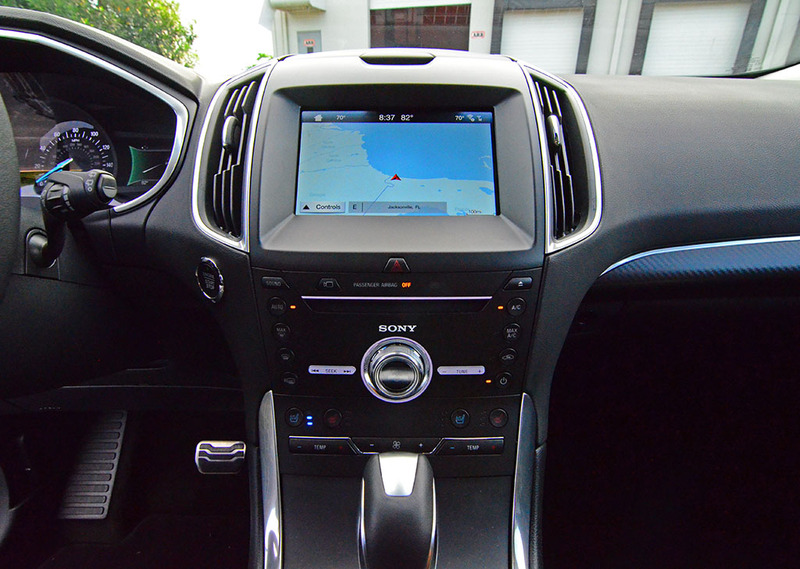 What stands out for the Ford Edge Sport is its ability to put its livelier driving traits at the forefront but still offers ample interior room, the latest Sync 3 infotainment unit that proves to be responsive and user-friendly, and generous cargo volume at the top of its class. 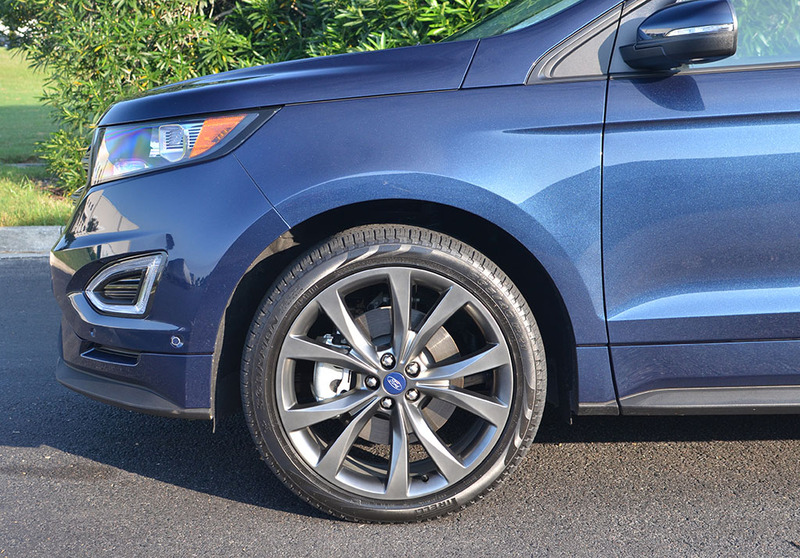 However, with the Ford Edge Sport there are a couple compromises in the area of overall ride quality, which appears to suffer due to the larger 21-inch wheels equipped on my test vehicle. 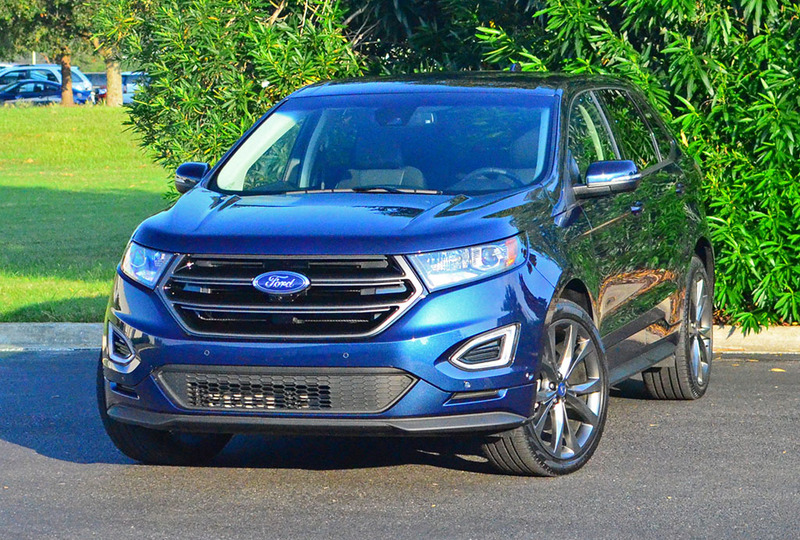 Moreover, the Ford Edge Sport has somewhat dismal fuel consumption figures where the powerful 2.7-liter turbo V6 was thirsty to the point that I never did match the EPA estimated mpg numbers. I ended up with an average of about 22.9 mpg on the highway where the EPA states I should be getting 24 mpg. 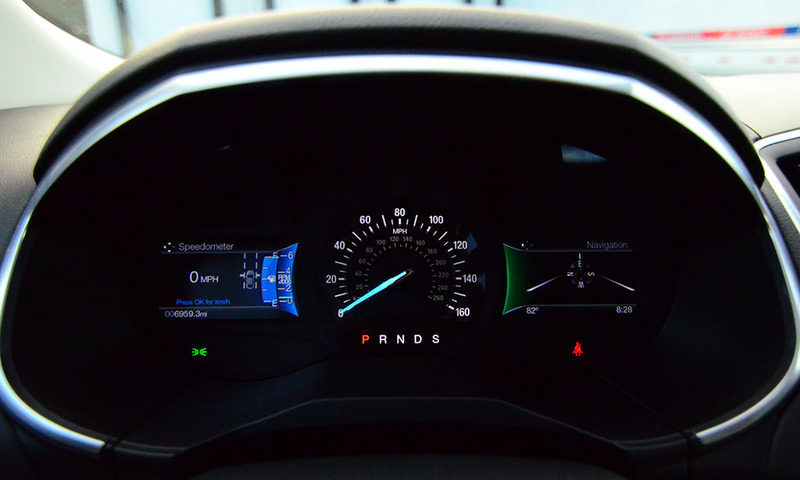 Though, around town, I averaged about 16.5, which is closer to the 17 mpg city EPA figure. Part of the overall appeal of the Ford Edge Sport is its enthusiastic drivetrain. 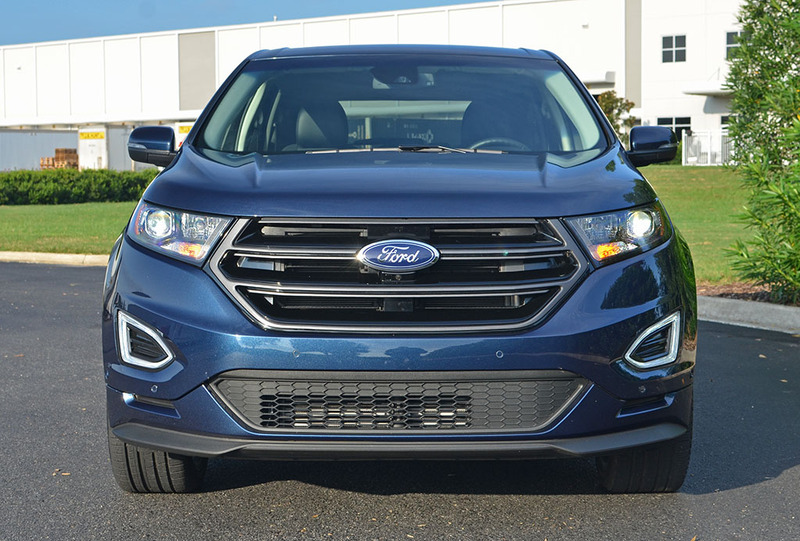 With a standard all-wheel-drive system for the Sport trim and the only trim that gets the powerful 2.7-liter turbocharged V6 engine, the Edge Sport is the prize for the light-hearted enthusiast. 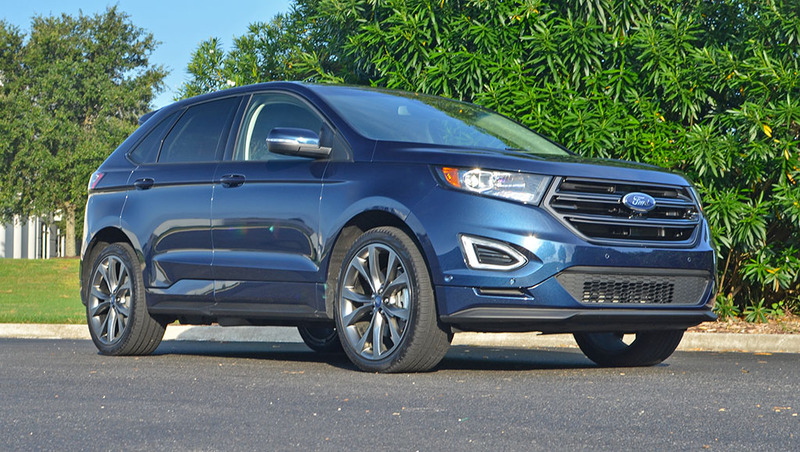 With that, considering the few compromises mostly in ride quality and fuel efficiency, the Ford Edge Sport is a decent overall package that has the proper sporty looks and large wheels to make a defined statement to onlookers. Driving the 2017 Ford Edge Sport I found myself smiling at times when the surge of the ample torque starts to kick in without any apparent signs of turbo lag. Out of the hole, the Edge Sport handles its own well to sprint to 60 mph in just 5.7 seconds. 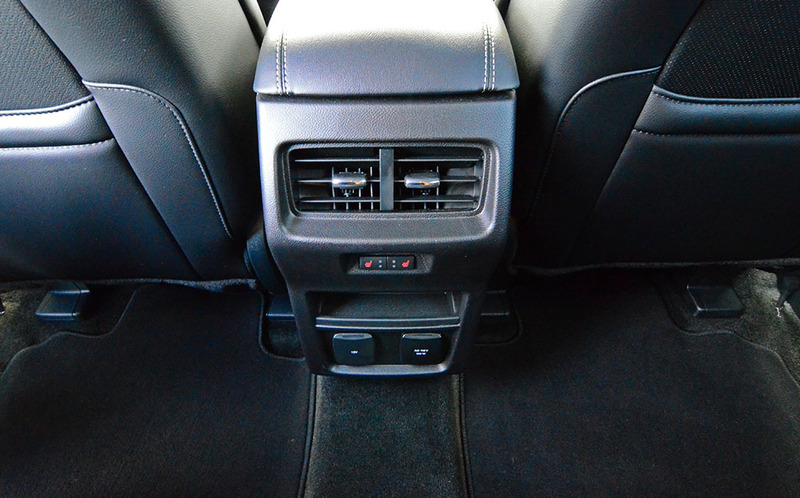 The intelligent all-wheel-drive system nearly evenly transmits power to the front and back wheels upon hard acceleration where the front-wheel-drive bias of the system takes over when cruising. 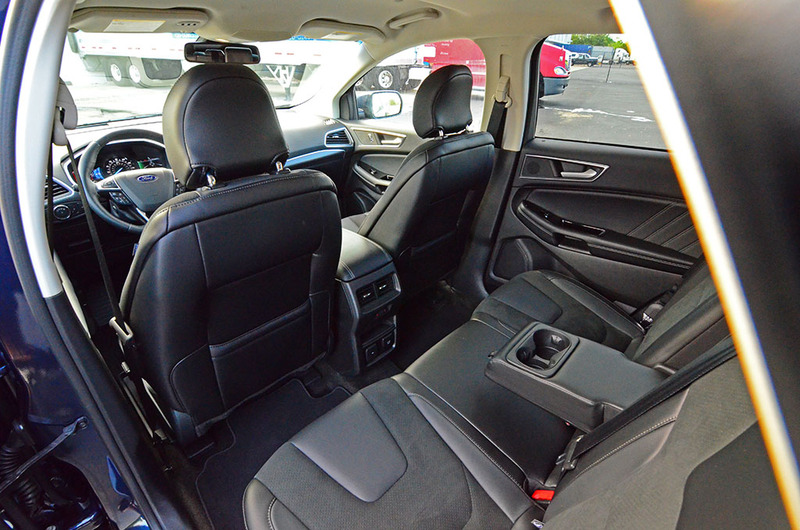 In all, the Edge Sport drives like a sports sedan, albeit with a higher seating position. 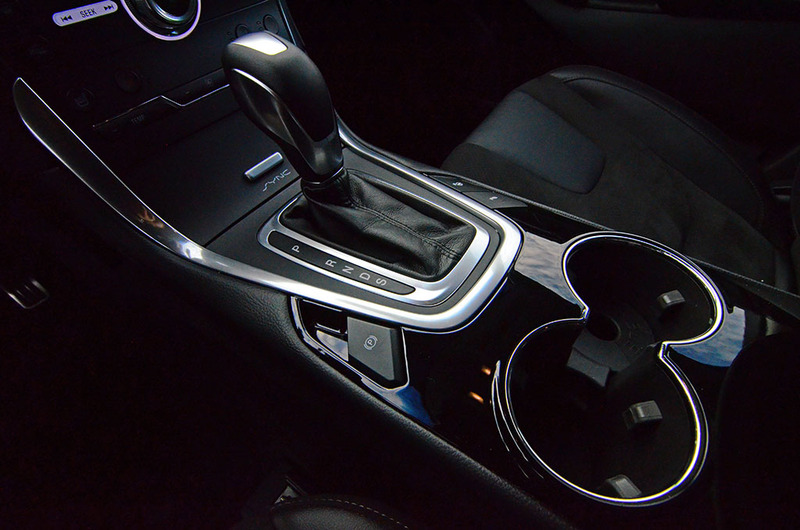 The proven 6-speed automatic transmission bangs through the cogs without any ostensible confusion but tends to stall a bit when you demand down-shifts through mid-throttle inputs. Most times I found that a harder press of the gas pedal was required to get the proper gear kick-down. 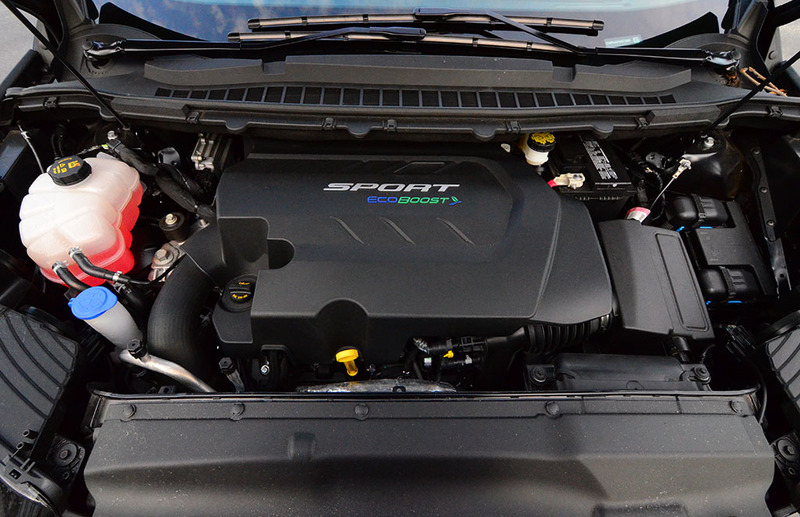 Otherwise, the strong torque in the midrange of the EcoBoost V6 felt almost like a diesel engine when the 6-speed transmission would hold a gear – it’s almost as if there was nitrous injected into the engine when you demanded the extra power in the same gear. 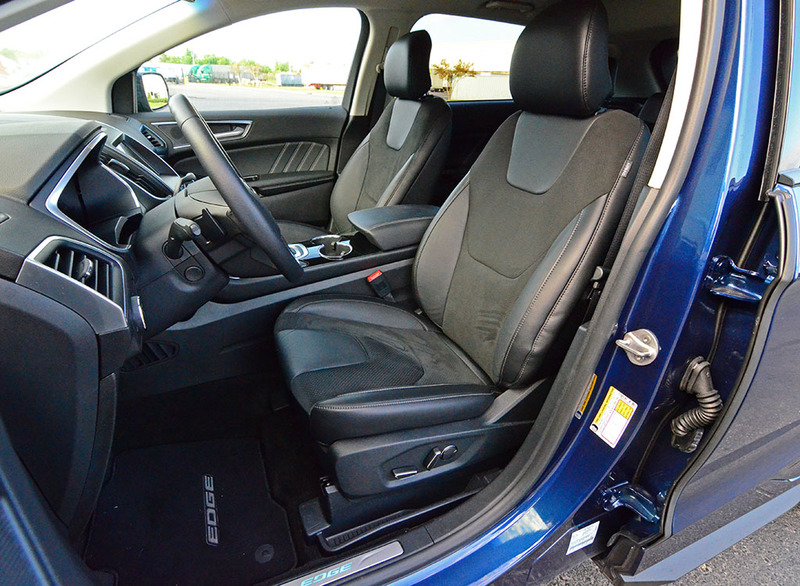 The expected amenities and creature comforts were all in place for an inviting and spacious cabin of the 2017 Ford Edge Sport. 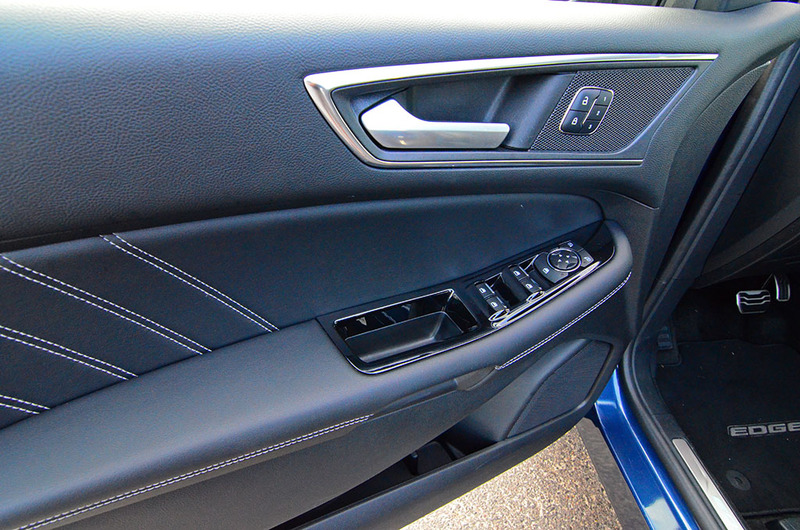 The seats proved to be well padded and comfortable, in addition to the high-power cooling and heating of the front seats. 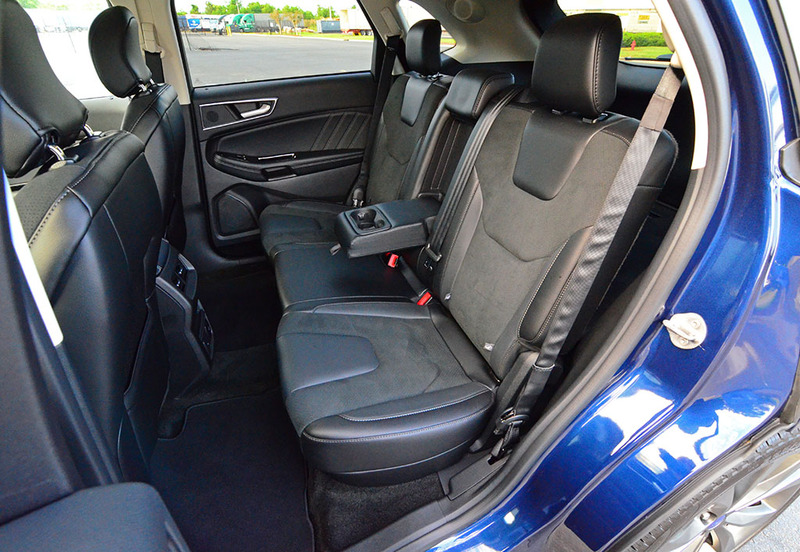 The seat adjustability was vast as were the back seats with plenty head and legroom. 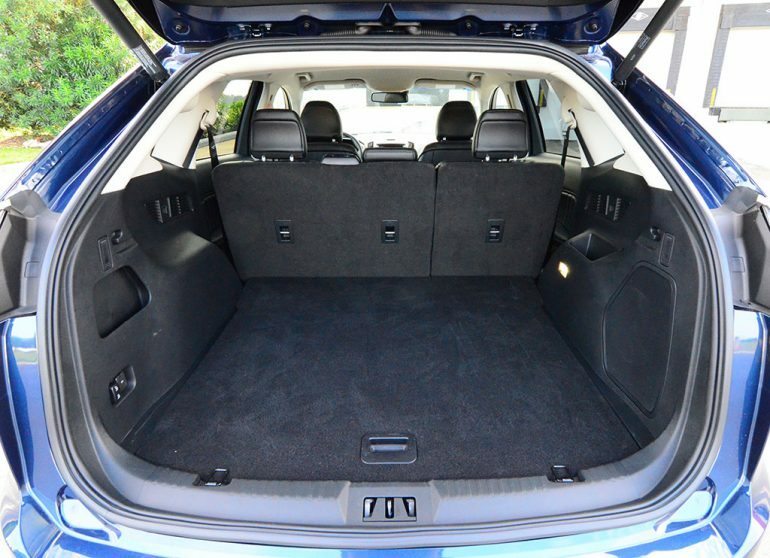 The cargo volume, a decent 39.2 cubic feet with the seats down, opens up to a vast 73.4 cubic with the rear seatbacks folded flat. 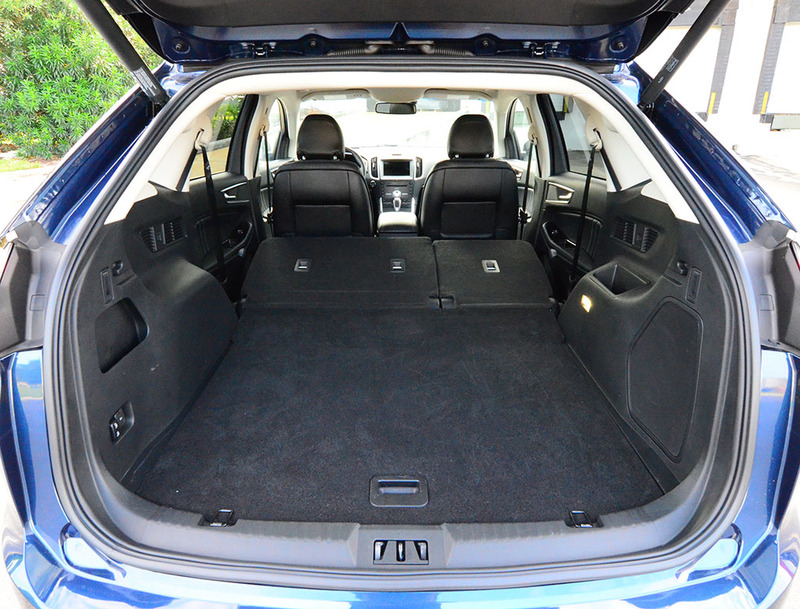 Access to the cargo area was also a welcomed part of the Ford Edge through a power hands-free liftgate. Overall, the new 2017 Ford Edge Sport is a desired choice over the other trim levels for those who want a bit of excitement in the drive over fuel efficiency. Now touted as the top-trim level, the Edge Sport is the one to get for those who want the most power and performance out of a mainstream midsized crossover. Though, you will want to make sure you can live with the firmer ride, which is somewhat hampered by the larger optional 21-inch wheels. 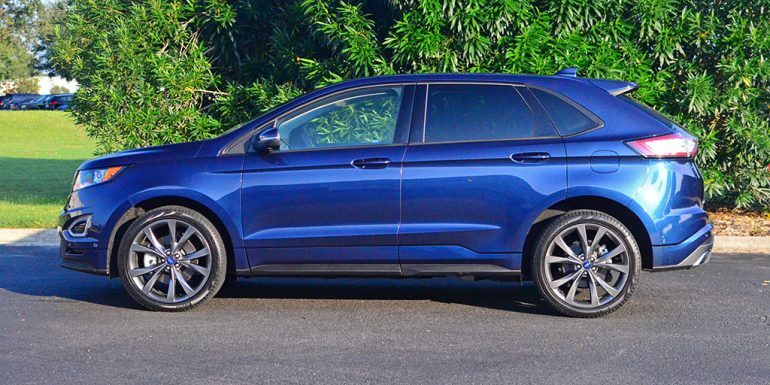 The price of my fully-loaded 2017 Ford Edge Sport comes to $47,980 after a $895 destination charge and Ford $1000 savings discount.